Free Domestic Shipping for the Fourth of July! The Land of the Free (Shipping)! Free shipping is coming! Free shipping is coming! To celebrate Independence Day, we are offering free domestic shipping on all orders made now through Tuesday, July 9 at midnight. 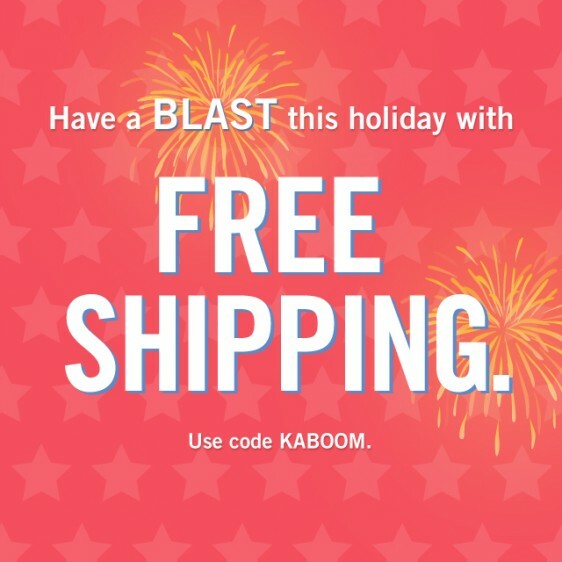 Just enter KABOOM at checkout. Enjoy the savings, friends! And make sure to check out our brand spankin’ new hand-lettered pads, which get their good looks from illustrator, Kate Bingaman Burt!